As we prepare to head to Texas for my brother's wedding we put two last pieces into Hawthorne Vintage. 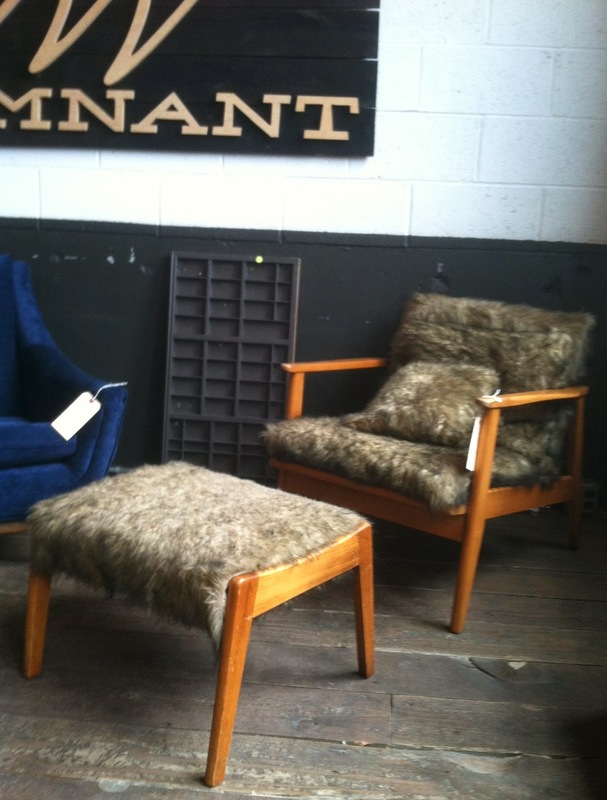 This weekend I found this wonderful lounge chair and ottoman set. Sadly someone had covered it in faux sasquatch fur. 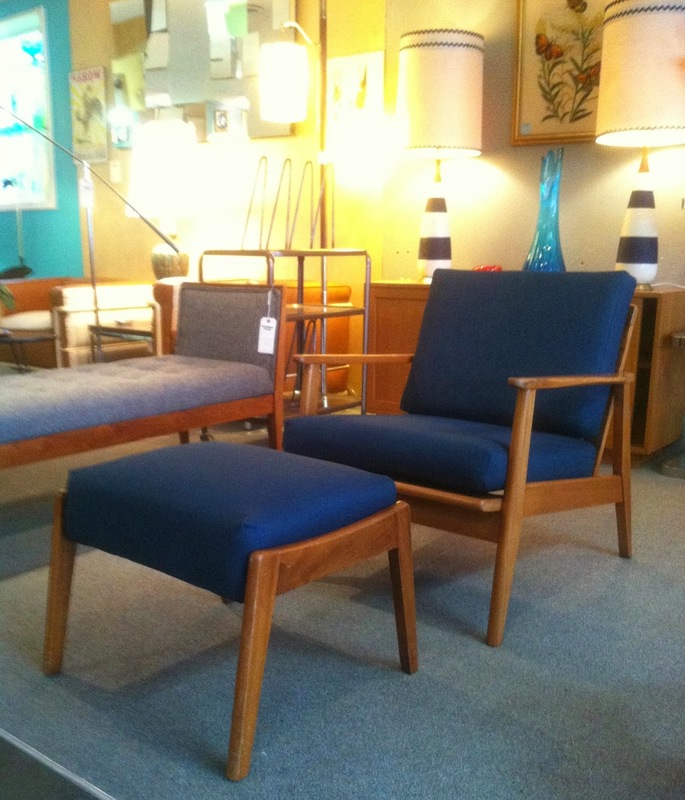 We reupholstered the chair & ottoman in a dark pacific teal fabric that accents the light wood frame. I just came across your blog today. I live in Utah and have been picking for a few months. There are a lot of great vintage stores out here but I'm having a hard time convincing my wife that I can refinish these pieces. You sir, are awesome. Thanks for the inspiring blog.